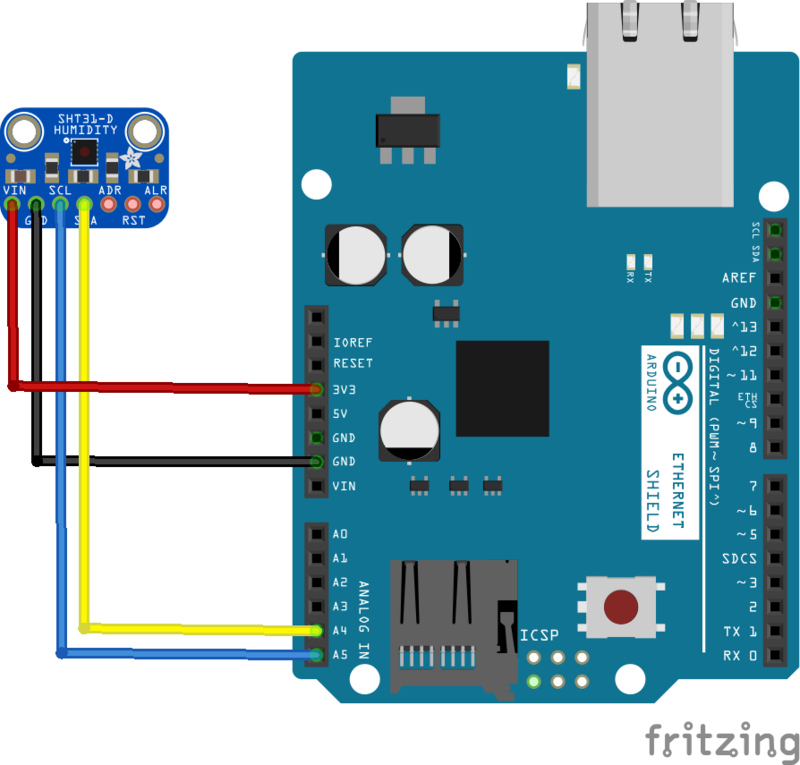 In this example we will take the SHt31, read the temperature and humidity and send this data to an online IoT platform, in this case we will use Thingspeak. To achieve this we will need an Arduino Uno with an Ethernet shield fitted and then we will connect the SHt31sensor to this. In the Arduino IDE, choose Sketch/Include Library/Manage Libraries. Click the ThingSpeak Library from the list, and click the Install button. Download the ZIP file from https://github.com/mathworks/thingspeak-arduino to your machine.